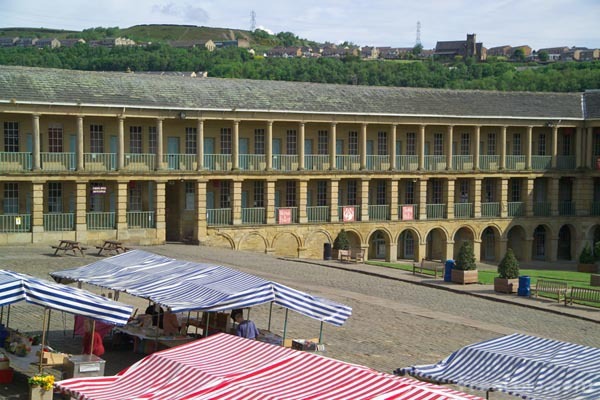 Photograph of Halifax Piece Hall, West Yorkshire. The cloth hall was, opened on January 1, 1779 and was where the trading of the woollen cloth pieces took place. The Piece Hall today is used as a public market.